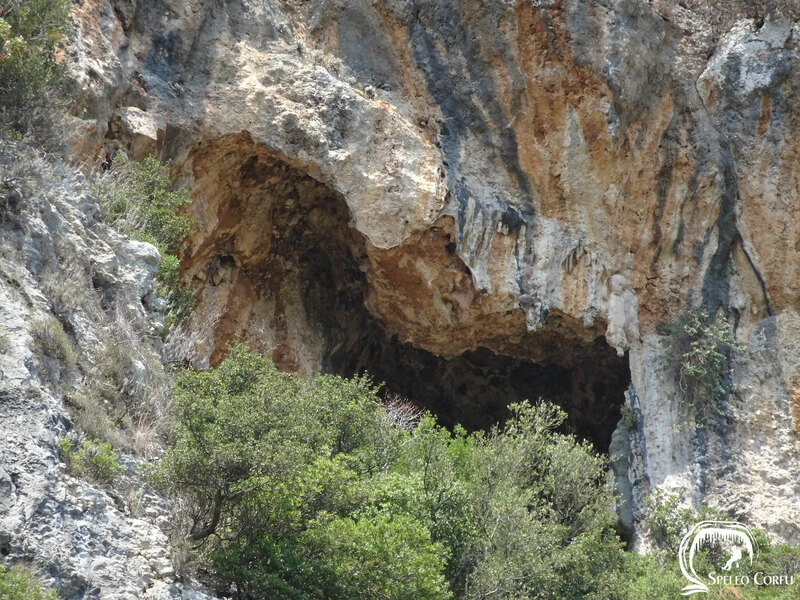 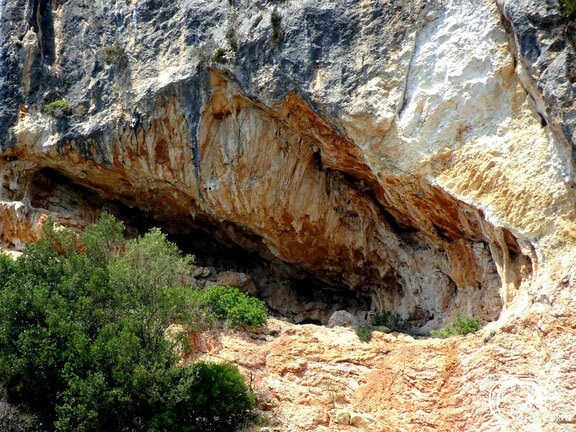 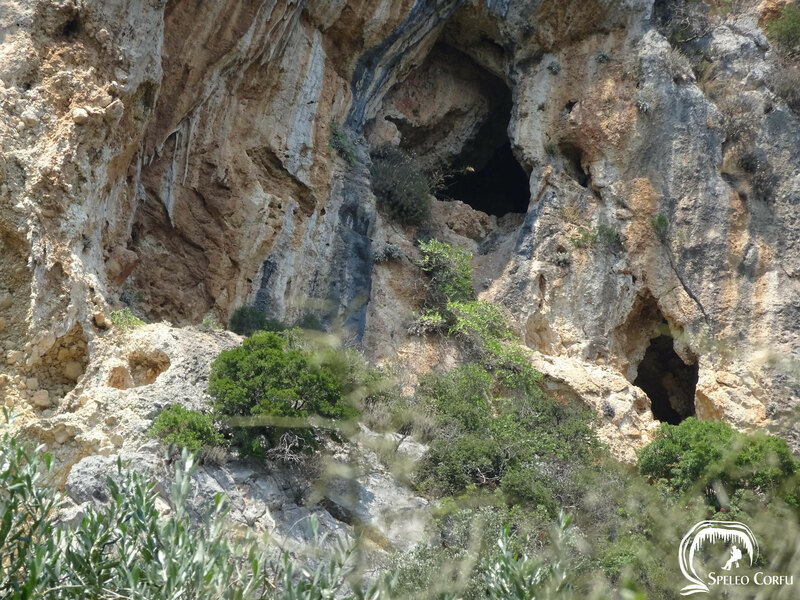 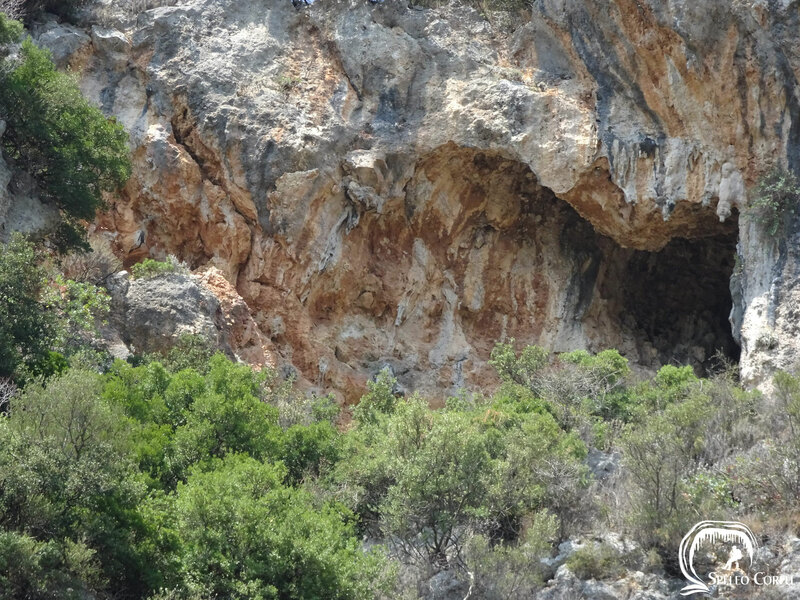 Caves between Doukades and Paleokastritsa - Website about caves on the island Corfu. 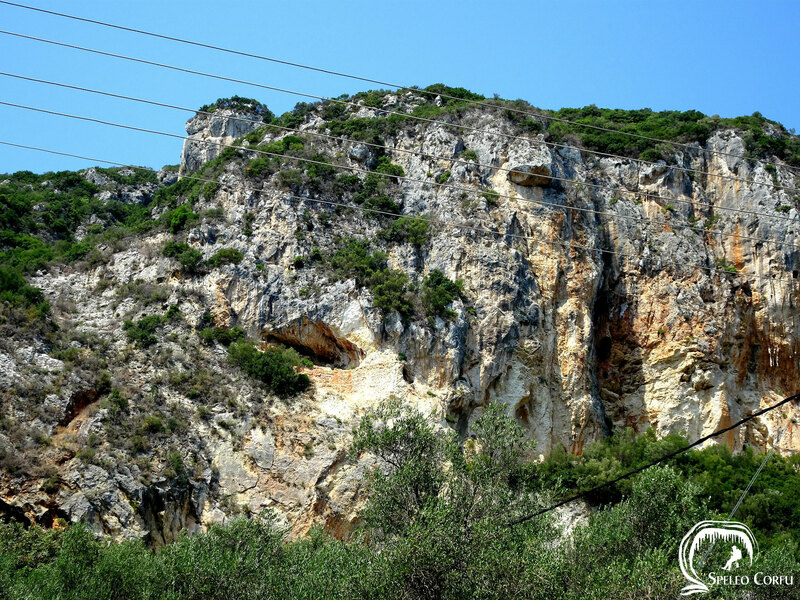 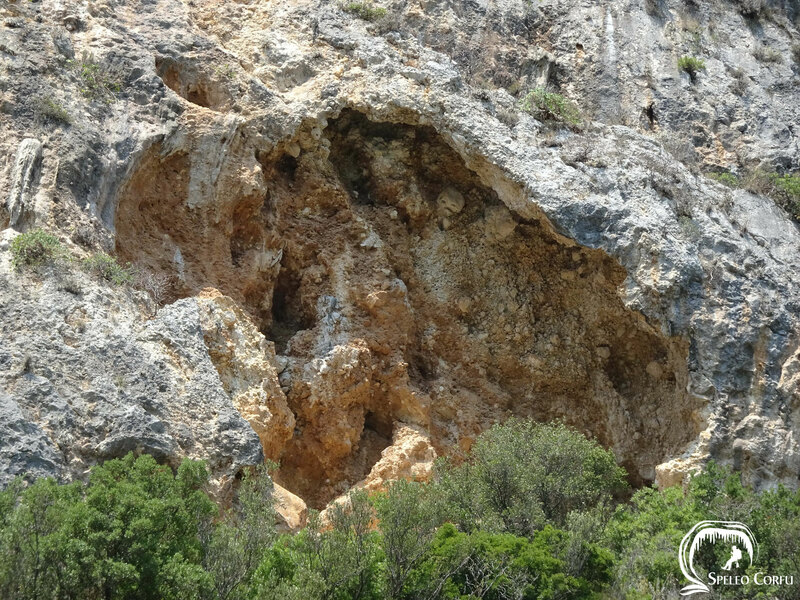 On the big rock wall between Doukades and Paleokastritsa there are several caves, holes and karst formations visible. 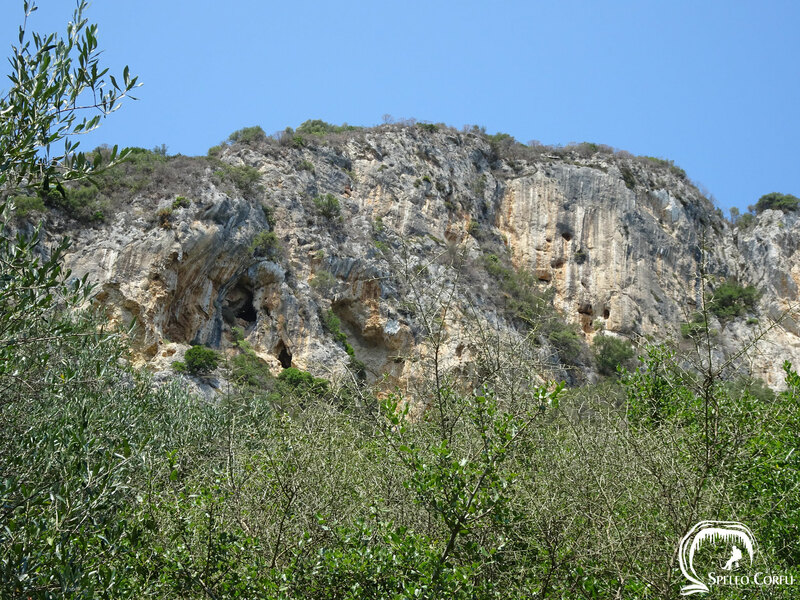 None of them is accessible because of high vegetation and altitude.